Who’s got your focaccia? Starting in 1981, co-founder Ronald Shaich baked himself a 1400-plus chain of stone-milled success. Shaich intends to contribute to the world beyond Panera. Bill Moreton, the co-chief operating officer since 2008, will replace him. Shaich will become executive chairman of the board, and will oversee strategic initiatives at the company.10 Even staying involved, a founder’s departure is like no other. As the genesis of an idea, a vision, and a culture, a unique bond exists between a workforce and the company’s creator. Every other employee shares an implicit understanding that the founder likely walked in their shoes at some point. No one touches more people or is more directly responsible for the passion to overcome obstacles than the one who proved it could be done. He leaves a long line of restaurant awards and distinctions from Fortune, BusinessWeek, and others. Shaich represented opportunity and delivered success in a very competitive and difficult market. 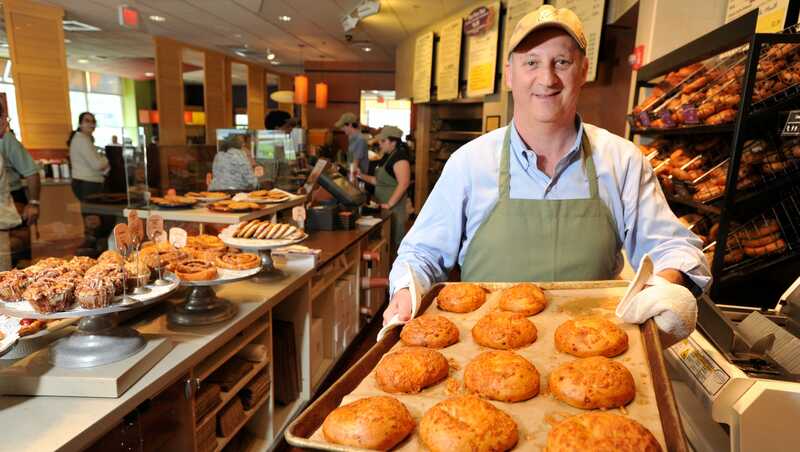 The next phase is an organization’s hardest and Panera’s recipe for success will be put to the test.